A sophisticated analysis of the Dallas real estate market requires a unique perspective. 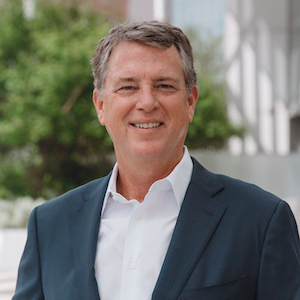 Born and raised in Dallas, Tom Hughes, Founding Partner at Compass possesses extensive knowledge of the local community and understands the intricacies of the Dallas real estate market. His primary goal is to share this perspective with his clients in order to provide them with educated investment choices while providing exemplary service. Tom’s membership in prominent network groups such as Masters of Residential Real Estate and Network Council of Realtors allows him the inside track on market knowledge, including private transactions and important “pocket” listings in the high-end niche market. Tom’s networking and social media skills help keep his listings and buyer needs in front of the areas top agents. An important component to Tom’s philosophy of combining superior knowledge with expert care is his utilization of a dedicated in-house staff. Each person works to provide every client with seamless customer service throughout each phase of a home sale or purchase, employing advanced technology to ensure the most reliable course of action possible. Tom specializes in marketing homes in Dallas’ best neighborhoods: the Park Cities, Preston Hollow, Bluffview, Devonshire, Uptown, Downtown, and Lakewood. His clients also take him to Dallas’ growing suburban neighborhoods such as Southlake, Westlake, Coppell, Plano and Frisco. He is dedicated to helping a buyer identify, analyze and purchase the ideal property. Having graduated from Texas Tech University with a BBA in Finance Real Estate and a minor in Community and Urban Studies, Tom is well educated in the industry. Tom and Cindy have two children, Nash and Eleanor, and live in University Park. Please contact him for outstanding personal service.